Sammons Preston Inc Bedcane 19" x 23". Heavy Guage Steel With Cusion Grip. 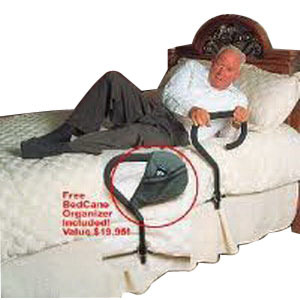 Provides support getting in and out of bed base is placed under matress and safety strap secure base to bed.